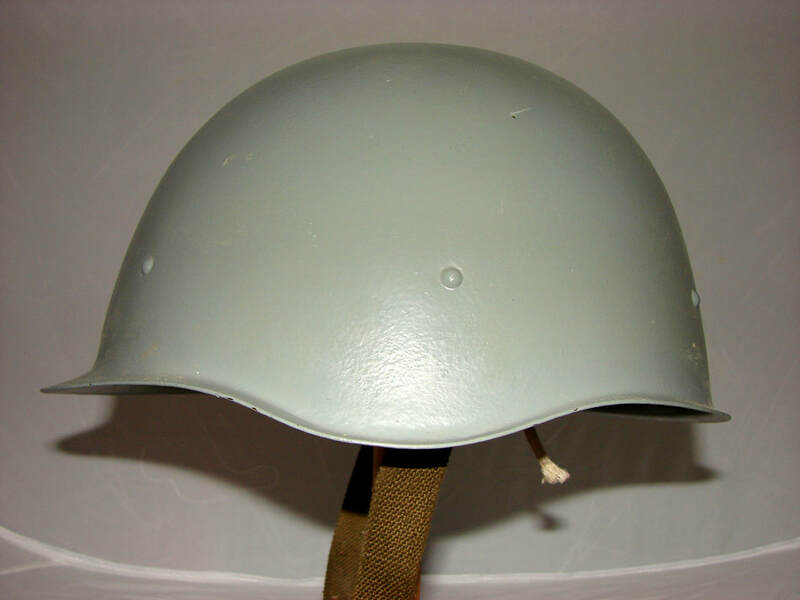 This Ssh 40 helmet started life with the normal green finish but has been fully repainted with a light grey finish. 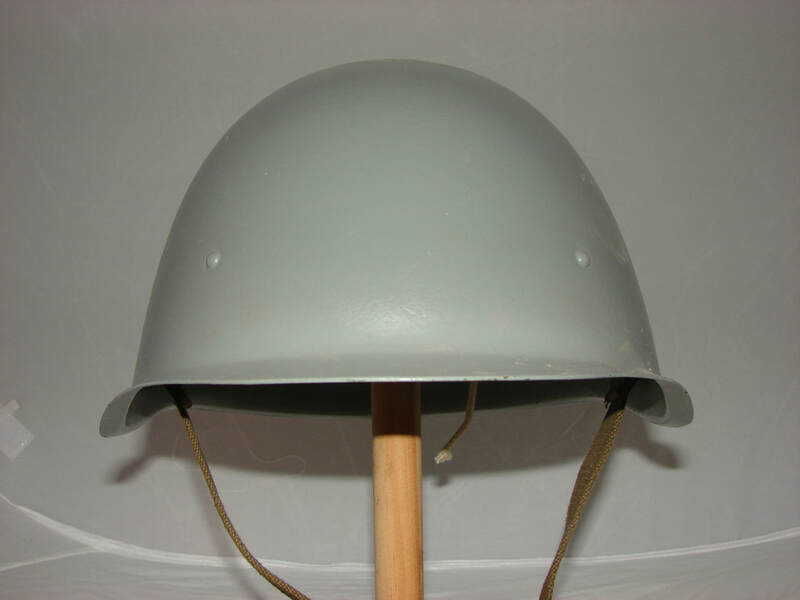 Other than a black anchor and a “2” (presumed to be for the shell size) there are no other markings you would normally see in an Soviet Ssh 40 helmet. 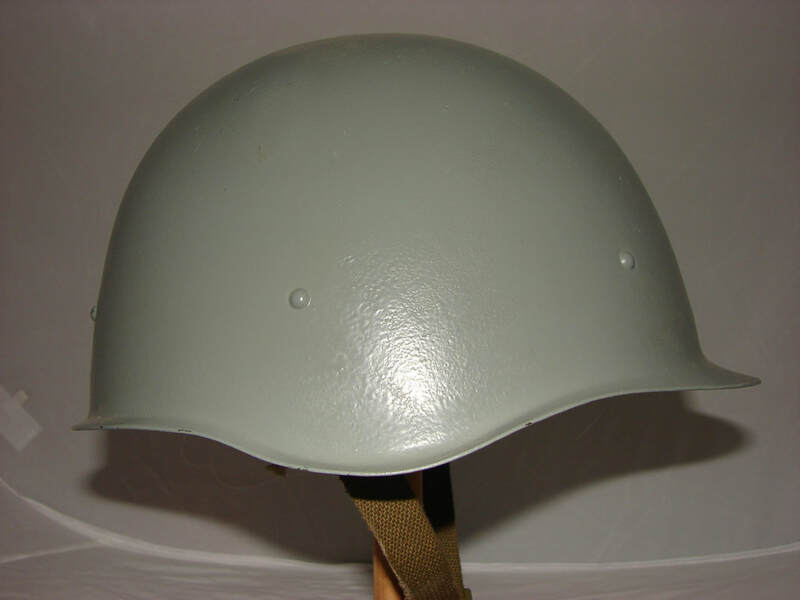 Ssh 40’s have three liner mounting plates riveted to the inside of the shell. 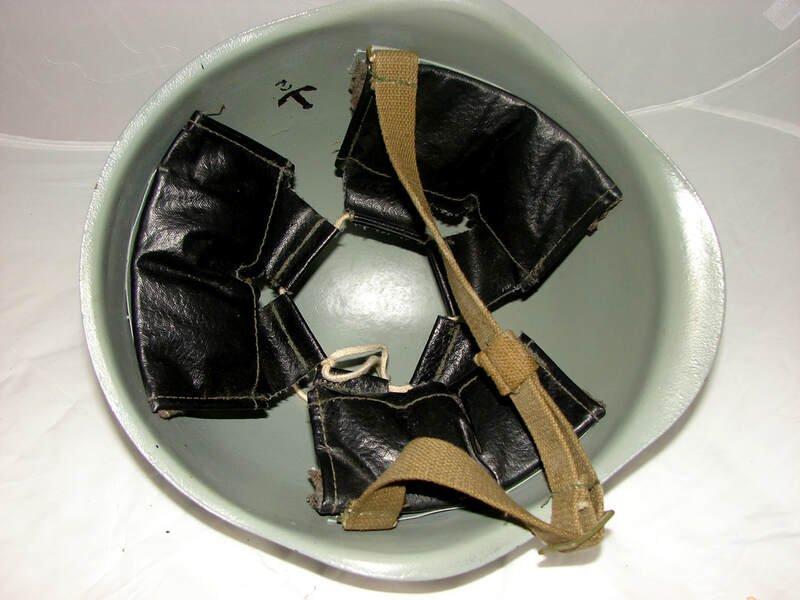 Each plate with three split pins by which the liner pads are mounted to form the liner. 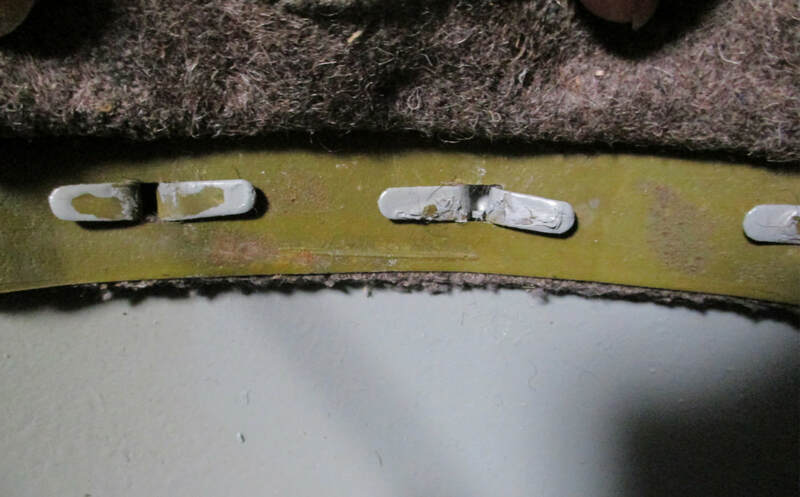 Close up of the liner pins shows the original green paint on the inside of the liner pins that have been flattened as the liner pad has been affixed to the shell. 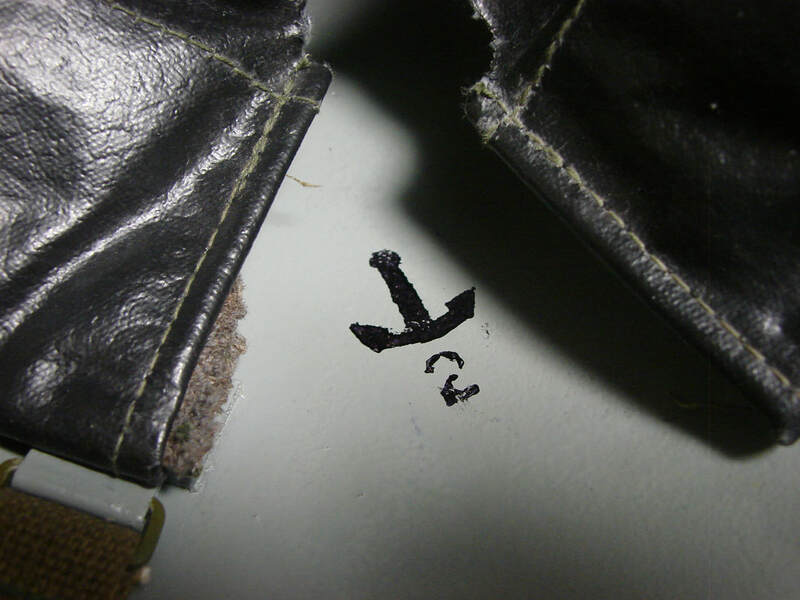 The liner pads and chin strap are standard Ssh 40 components.